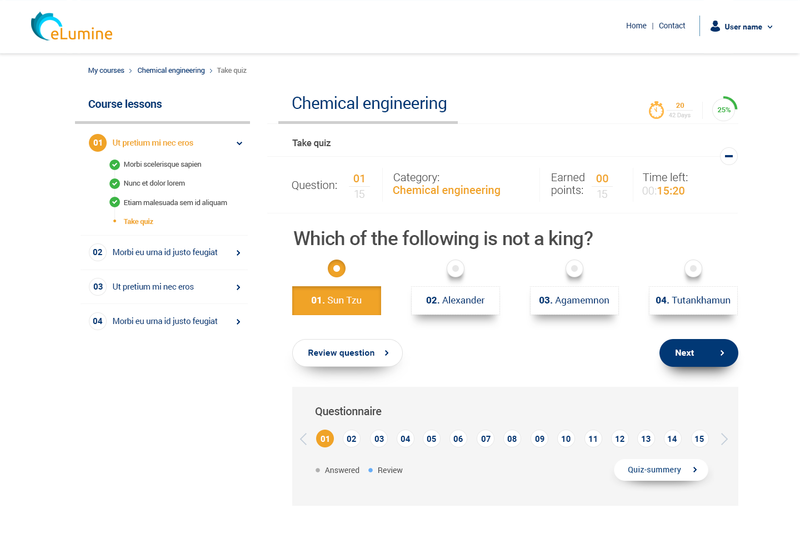 We’re thrilled to announce the launch of this super-awesome product that’s got our whole team celebrating – eLumine – a sophisticated LMS theme that redefines learning technology. With its arsenal of new features, eLumine guarantees to ease learning management woes and boost student engagement. WisdmLabs has always had a special interest in building innovative products for the learning industry. After the success of our very first theme – Pathshala – a new theme was always on the cards; just that, at the time, we did not have much clarity on how it would be. After marathon brainstorming sessions, some key inputs from our LMS speciality team, and a few healthy UX related debates 😉 …. the idea of eLumine surfaced. 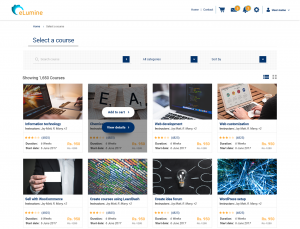 eLumine was going to be a path-breaking WordPress e-learning theme that would integrate with major LMS plugins. Our focus was to create a conducive learning environment to better the training process and improve student outcomes. Once the design was decided, there was no looking back; we got working! 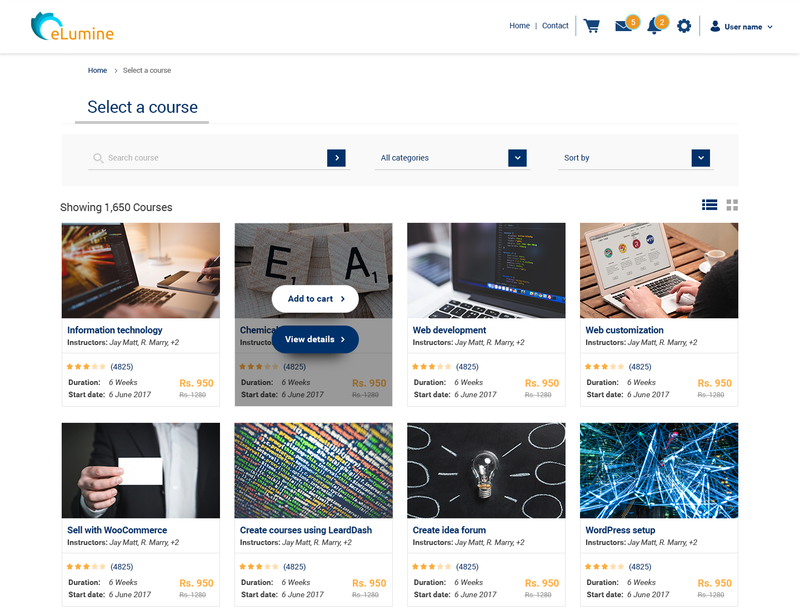 Loaded with unique layouts, sleek interfaces, and support for major WordPress plugins to create a well-rounded education experience – lo and behold – eLumine will exceed your expectations. Unique layouts were always going to be the differentiating factor when it came to eLumine. But ‘different’ was not our focus, learners were. The difference lies in the smaller changes – strategically placed shortcuts to improve navigation, distraction free layouts for improved readability, adjustable sidebars, and more. When coupled with LearnDash, eLumine completely redefines the plugin’s templates. 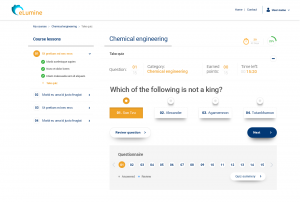 The best part however has to be the completely remodeled LearnDash quiz layout, that’s built to make the quizzing experience engaging. As we like to call it, eLumine + LearnDash => Gamification mode ON! With support for the leading e-commerce plugin on WordPress – WooCommerce – eLumine offers one-of-a-kind store and product page layouts. The design is uniform, to seamlessly bend the e-store with your learning website. Collaboration, interaction with peers, discussions with instructors are all part of the learning process. Owing to this, we’ve made sure eLumine integrates with leading social networking plugins – BuddyPress and bbPress. Looking for better performance along with awesome UX? You got it! We’ve made sure to oil out all the squeaky wheels to ensure top operating speed. With lazy loading options and SEO support, eLumine guarantees optimal performance. You’d have to explore the entire feature list for details. It also goes without saying that eLumine is completely responsive with support for retina displays. 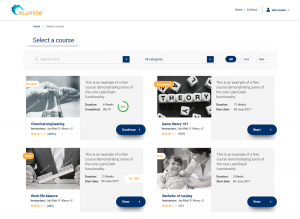 eLumine isn’t just another e-learning theme. It’s a platform to radicalize learning from the ground up. That special ingredient that could be the differentiating factor between you and your competition. This theme is a step in our masterplan to empower you with tools that positively impact the learning process. We’re eager for you try it out! News about the theme is already making rounds. Join us in spreading the word by tweeting about this with #eLumine.